Back in the 1960s, planners looked to bring sculptures, murals, mosaics, and reliefs to every BART station, including to Glen Park above. No regular rider of Bay Area Rapid Transit needs to be told that riding its trains can be an artistic experience, from the fiddle players who greet you on the Berkeley station's mezzanine to the teenage 'turf' dancers who perform in the cars themselves. But that's not the kind of art BART planners had in mind back in the mid-1960s when they plotted out an ambitious art program for a system that would begin running trains in 1972. It called for sculptures, murals, mosaics, and reliefs to be placed in every station of a transit system they hoped would open soon—despite cost overruns that attracted bad press, and delay after delay. Not only would art be placed in BART stations, it would be wedded to the architecture, with the design architects of each station helping select and work with the artist. 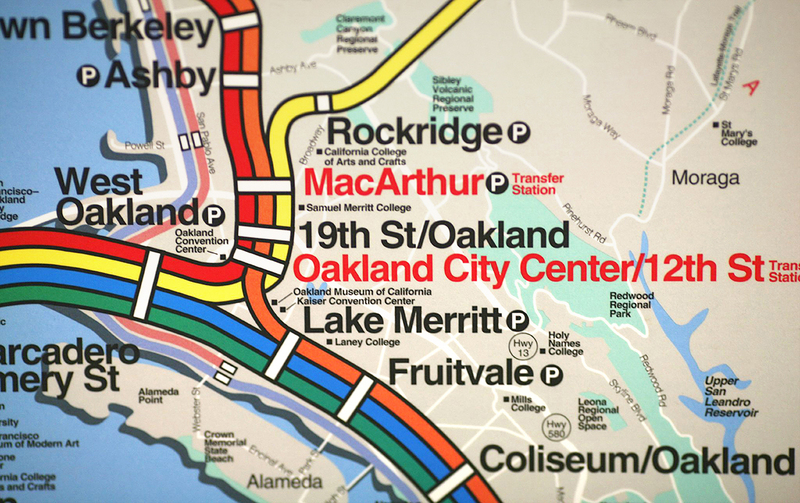 "Our objective," the father of BART, board president Adrian Falk wrote in 1966, "is to produce for the Bay Area not only the best system in the world from a standpoint of operating efficiency but the finest from a standpoint of aesthetic design." But, as ambitious plans for a Bay Area transit system that would circle the entire Bay, with stations in such far of locales as Napa, Fairfield, Santa Rosa, Brentwood, Livermore, San Jose, and Los Altos, grew more modest, so did plans for art on BART. Public art was soon relegated to only a handful of the original stations. Because of funding issues and work rules, rather than hiring artists for some stations, the project architects designed their own art. And BART never installed signs crediting the artists by name. 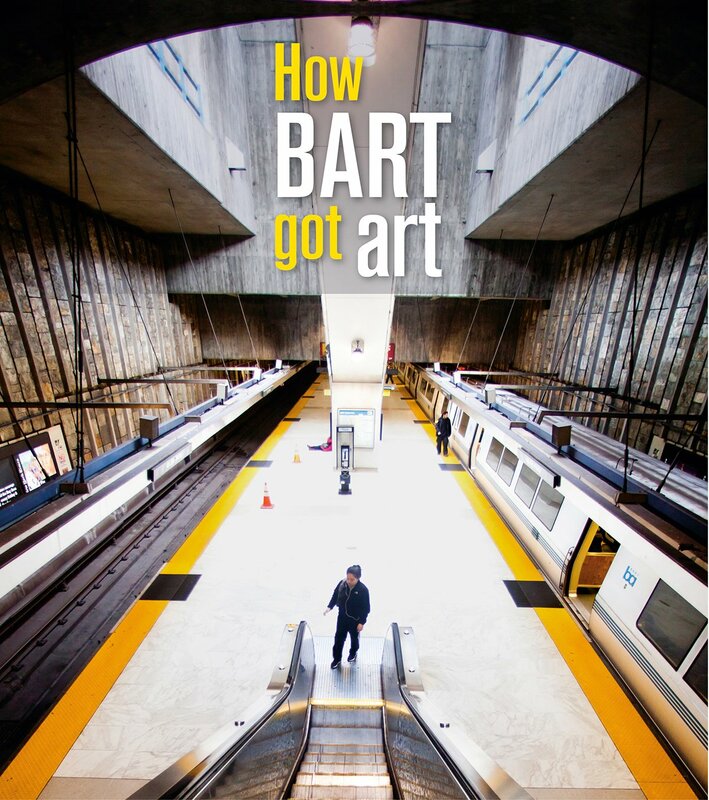 As a result few people today know who created most of the original art on BART—even BART officials. "It is really an insult to the artists," says artist Helen Webber, who created three colorful standing columns in the Lafayette station, and banners for BART's headquarters. "But that is the story about art in public places. There are good intentions and noble thoughts, and there are all the issues that come between the thought and the execution."